FEC held the biggest Global Partner Conference in Koh Samui, Thailand during OCT 23 – 27. Everyone was excited about the new era of FEC POS, just as the theme of FEC GPC 2016 – Tab the Future, Let it Shine! 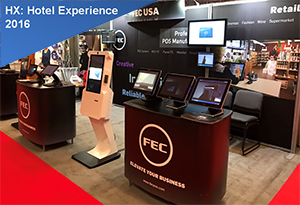 FEC USA had a great show at the largest hotel industry related exhibition – HX: The Hotel Experience during NOV 13 – 15, 2016 in New York! 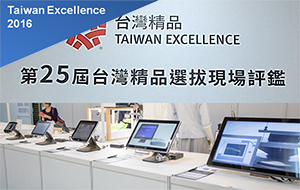 This year is the 25th TAIWAN EXCELLENCE AWARD and FEC is honored to announce 6 FEC products have been selected to join earlier this month! World leading food chain brands TGI Fridays, Starbucks Coffee, and Burger King, all installed FEC AerPPC PP-9635 with customer display AP-2025 in Norway!